C020 - Corydoras granti (i:19, k:161), congeners. C021 - Corydoras sp. (C021) (i:3, k:0), congeners. C022 - Corydoras benattii (i:1, k:0), congeners. C023 - Corydoras sarareensis (i:6, k:3), congeners. C024 - Corydoras sp. (C024) (i:3, k:0), congeners. C025 - Corydoras pinheiroi (i:5, k:5), congeners. C026 - Corydoras kanei (i:9, k:21), congeners. 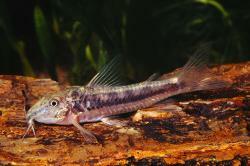 C027 - Corydoras seussi (i:9, k:30), congeners. C028 - Corydoras sp. (C028) (i:1, k:1), congeners. C029 - Corydoras sp. (C029) (i:0, k:0), congeners. C030 - Corydoras sp. (C030) (i:1, k:4), congeners. C031 - Corydoras bondi (i:9, k:14), congeners. C032 - Corydoras blochi (i:9, k:7), congeners. C033 - Corydoras sp. (C033) (i:1, k:1), congeners. C034 - Corydoras sp. (C034) (i:0, k:0), congeners. C035 - Aspidoras sp. (C035) (i:5, k:12), congeners. C036 - Aspidoras sp. (C036) (i:1, k:0), congeners. C037 - Aspidoras sp. (C037) (i:1, k:2), congeners. C038 - Corydoras sp. (C038) (i:1, k:1), congeners. C039 - Corydoras sp. (C039) (i:4, k:2), congeners. C040 - Corydoras sp. (C040) (i:6, k:3), congeners. C041 - Corydoras sp. (C041) (i:4, k:5), congeners. C042 - Corydoras sp. (C042) (i:12, k:10), congeners. C043 - Corydoras sp. (C043) (i:1, k:3), congeners. C044 - Corydoras sp. (C043) (i:1, k:3), congeners. C045 - Corydoras sp. (C045) (i:5, k:10), congeners. 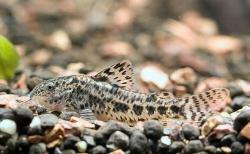 C046 - Corydoras kanei (i:9, k:21), congeners. 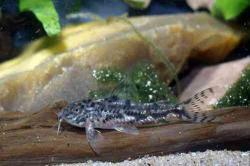 C047 - Corydoras sp. (C047) (i:1, k:0), congeners. 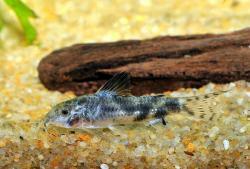 C048 - Corydoras sp. (C048) (i:4, k:11), congeners. C049 - Corydoras sp. (C049) (i:1, k:0), congeners.